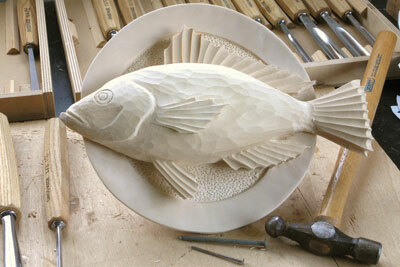 The idea of carving a fish on a plate appeals for a number of reasons. 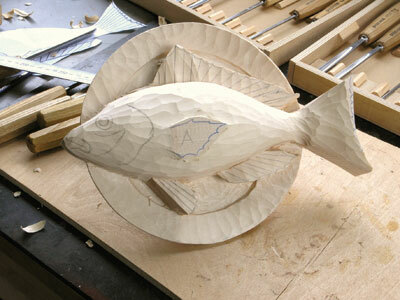 It can be a wall hanging so does not need shelf space; the fish can be nearly three dimensional; it includes the technique of carving scales; the fish can be as realistic or as decorative as the carver desires; and the plate can be decorated in different ways. 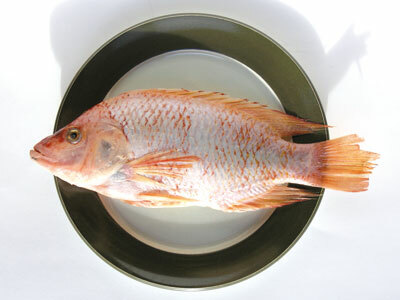 A red snapper would make a rather attractive original photograph, but I had to make do with a rather sorry looking Taiwanese specimen that was photographed on a round plate, an oval plate and a decorated round plate. 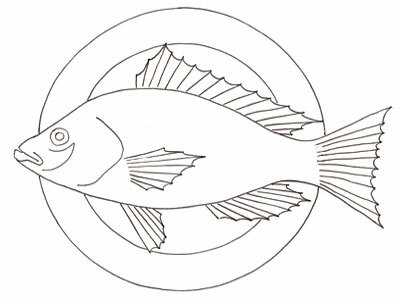 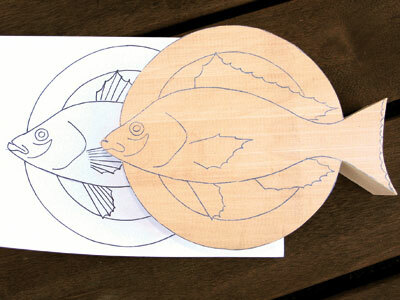 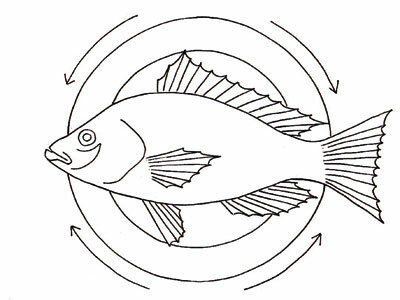 The preferred image was on the plain round plate, although the oval might suit a different shaped fish. 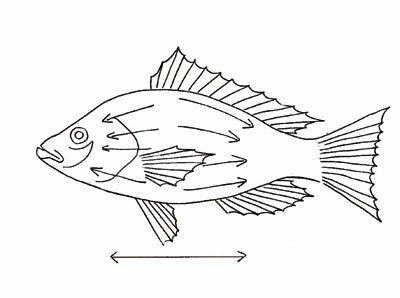 Various pictures of red snappers were used to enhance the fins on the template before it was resized to fit an A4 page. 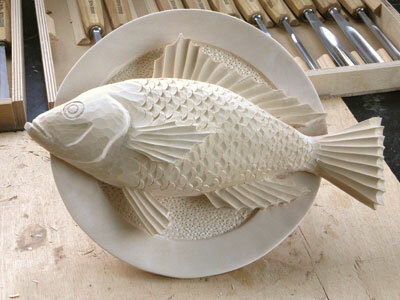 It is advisable to shape the underside of the dish first while the front is still flat and the piece can be clamped to the bench as once the fish is carved, it will be more difficult to hold. 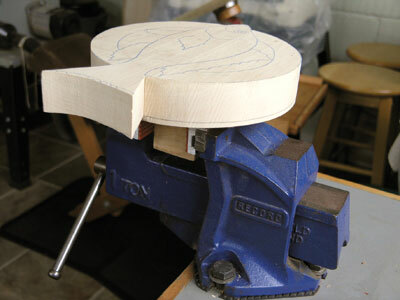 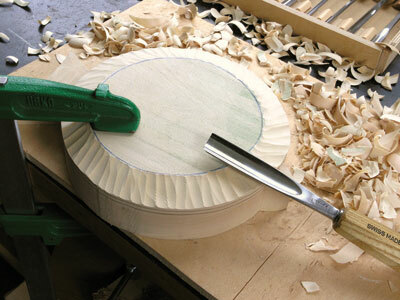 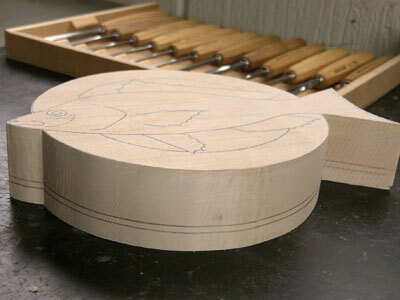 The back of the rim can be sanded or left tooled depending on preference. 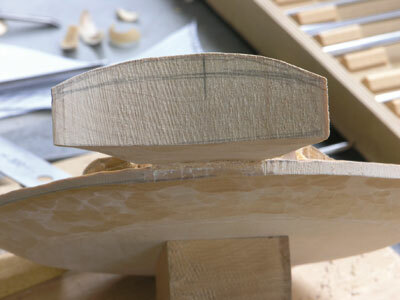 It is even possible to turn the underside if you have that facility. 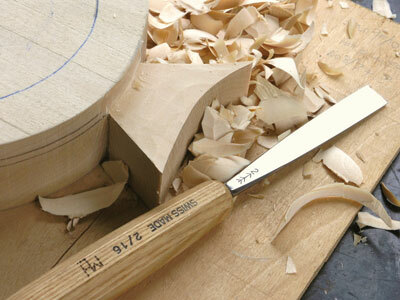 One of the most difficult techniques is left until last. 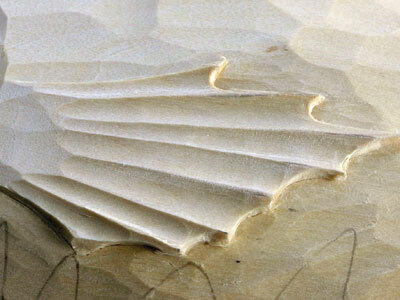 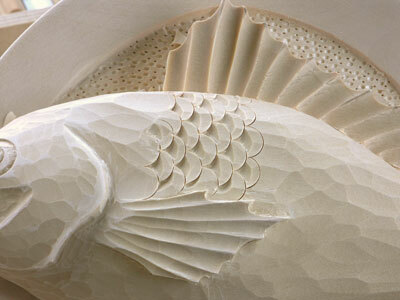 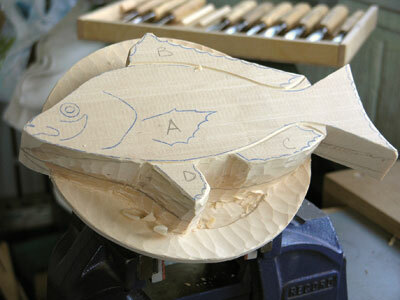 If you have never carved scales, it is a good idea to practice before carving the fish. 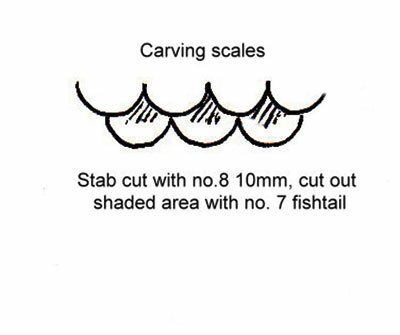 Use a No.8 10mm (3/8in) gouge to stab in a row of semi-circles, then stab another row under them, touching the lower curve. 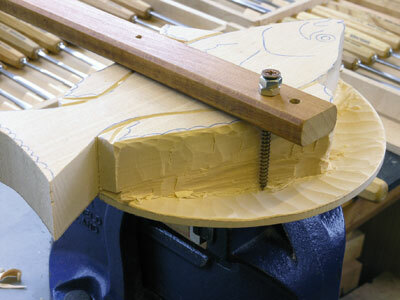 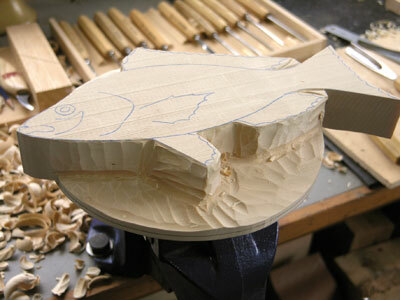 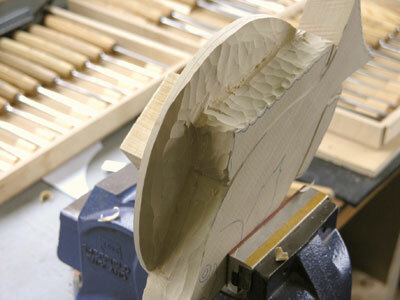 Now use a corner of a No.7 fishtail to carefully slice out under the meeting point. 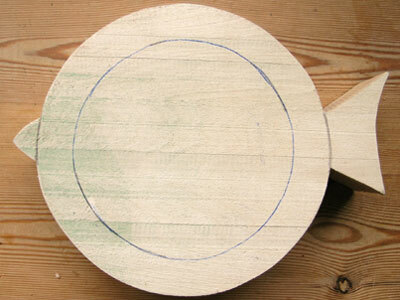 Finally make a hole in the back of the piece for hanging, and give the piece two coats of Danish oil, finishing off with a neutral wax polish. 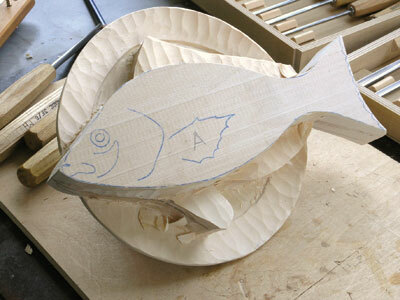 In retrospect with the fish only 250mm (10in) long, 37mm (1.5in) timber would be thick enough and the plate could possibly be a little larger to avoid the fins overlapping the rim. 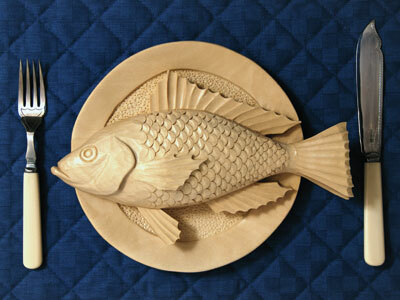 "The idea of carving a fish on a plate appeals for a number of reasons"